Your electrical panel connects your home with the power grid in your city, letting you run everything from your lights to your vacuum cleaner to your home entertainment system. With the rise of the Internet and the advent of devices like flat-screen TVs, the average home’s power needs have grown exponentially, especially in cities like Hartford CT. Despite that, some homes still use outdated power panels. According to the U.S. Census, almost half the homes in the United States were built before 1970s, when power needs were a fraction of what they are today. Again, this is of concern to towns like Hartford, which have a lot of older homes within their limits. This begs the question: is my electrical panel outdated? The easiest way to tell is if yours is an older type. A fuse box panel uses disposable fuses that blow whenever an overload takes place. This cuts power to the circuit before it causes further damage, but required you to change the fuse before it could work again. Modern breaker panels eliminate this problem. Split-bus panels, on the other, don’t have a main breaker, but rather use a smaller breaker that handles the bottom of the panel. Considering the power required to run most homes, a breaker this size isn’t safe. In both cases, you probably want to update to a modern, safer electrical panel that can better meet your needs. When considering an upgrade, it pays to contact an expert. Not only do they possess the know-how to replace and dispose of your old unit, but they can recommend the best type of panel box to use in your home. Certain brands work better than others, and a knowledgeable expert can steer you away from a problematic brand and towards one that can address your needs. 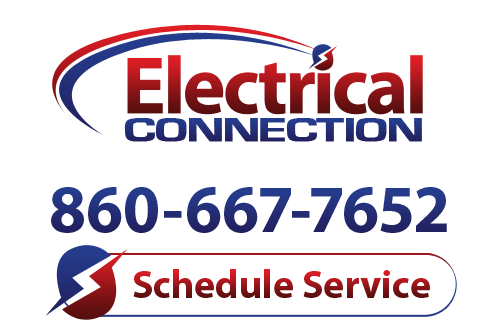 The electricians at Electrical Connection handle all kinds of power issues in the Hartford, CT area and can speak with you about upgrading your existing electrical panel to something more up-to-date. Call us today to make an appointment.